Elle Stowell is a thief — a burglar to be precise. She’s careful, methodical, careful — she doesn’t use weapons, she focuses on cash and things that are easy to sell. You really can’t call anyone in her profession “risk averse,” but she’s as close to it as you could possibly be. She’s a cute, petite blonde working in some of the most exclusive neighborhoods in LA. Her appearance gets her over-looked by those who ought to find her suspicious and her size and athletic ability help her get into places that she shouldn’t be. She makes enough to finance her lifestyle — and a little more. But primarily, she lives this way for the thrill. All that changes one day when she breaks into a home and finds three bodies in the bedroom, clearly the victims of a shooting. She also notices that a video camera in the room which probably caught the murder — it definitely caught her. So she steals the camera from the scene and runs. She verifies that, yes, it shows the murder and a little bit of what led up to it. After making a few copies — and removing her self from the footage — she returns the camera for the police to use the footage. Soon after this, she begins to hear of three people looking for her at some of her usual haunts. She’s told that they seem like cops, but she’s not sure. Cops or not, she wants nothing to do with them. Once bodies start showing up — bodies that are related to her in some way — she knows that she has to find the murderers or she’ll never be able to stop looking over her shoulder. I don’t really think that I got to the point that I liked Elle — she’s a criminal, not one driven to it or forced to steal or anything. She made a choice at some point to steal and has stuck with it. She’s not particularly flamboyant about it — like Jim DiGriz or Nicholas Fox or anything. Her approach is clinical, serious, no-nonsense. So there’s none of the typical fictional trappings that make you like a thief character. However, it wasn’t that far into the book when I realized that I was really invested in what’s going on with her — how is she going to escape the ramifications of what she’s seen? Is she being paranoid, or is there someone actually after her? Will she be able to bring them to justice without incriminating herself? How did they figure how who she was? Why were the original murders committed? Why isn’t anything happening with that video she left the police? There are other characters — a couple that you get to spend some good time with, too. But this book is all about Elle. Like I said, I don’t think I ever liked Elle, but I appreciated her as a character. The other characters that are around for more than a few paragraphs are just interesting enough to justify their presence. Some bring out some interesting sides of Elle’s character or past. Others help us understand just what kind of mess she’s fallen into. This is my third Thomas Perry book in the last year, and I was far more invested in the events of this than I was in either of the others — he kept reeling me in page by page. 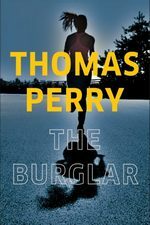 The pacing of this is great — just like Elle herself, Perry knows when to slow down and let you catch your breath and then when to dash off and leave you hanging on by your fingertips.Perry’s been at this for a while and it shows — he knows how to write a thriller. Unlike many crime novels (including the other Perry novels), you don’t get to know anything about the murderers until the ending — you have an idea about them before the ending, but it’s not until the closing chapters that you actually learn anything. I loved that, I was just as much in the dark as Elle was. Perry didn’t get into the killer’s mindset or motivation at all. They were just out there, threatening Elle until she’s put the pieces together. This was a fun read. It was gripping, it was unique, it was complex — and come to think of it, the motive for the killing and the crimes surrounding the murder aren’t like anything I remember in Crime Fiction. That alone makes it worth your while. Perry really delivered the goods with this one, and I encourage you to give it a shot. Disclaimer: I received this eARC from Grove Atlantic via NetGalley in exchange for this post — thanks to both for this.